very funny. I post photos from my phone all of the time. Now I've got to run to Walmart & get totally serious. LOL! This the first cell phone I have had that is easy to get pics off of. So far the majority of my 2011 POTD posts are from my cell phone. don't you just love signs. love signs! LOL, great phone pix! Steph - Yay! Easy cell phone pictures! Actually, this is the first time I've been able to get them at ALL! Nicki & Suzy - Yes, I love them! I must. I post about them ALL the time. And thanks Suzy! Angela - Yes. I'm afraid you owe her a quarter every time you take her seriously. 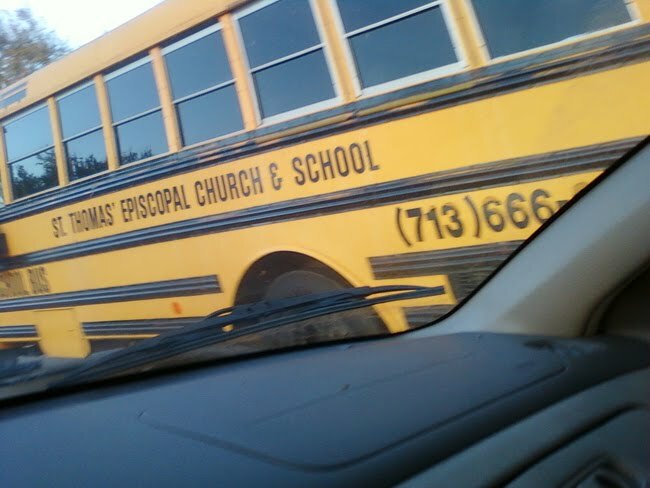 Maybe that bus is the devil in disguise, lol. LOL at your comment on my blog. Ooh! You're better than me. I take pictures with my camera phone all the time. I have no intention of sharing because I don't know how. Wish I had a camera on my phone - love totally random shots! it looks like you've figured it out, but you can send a pic to an email address just like a regular email. 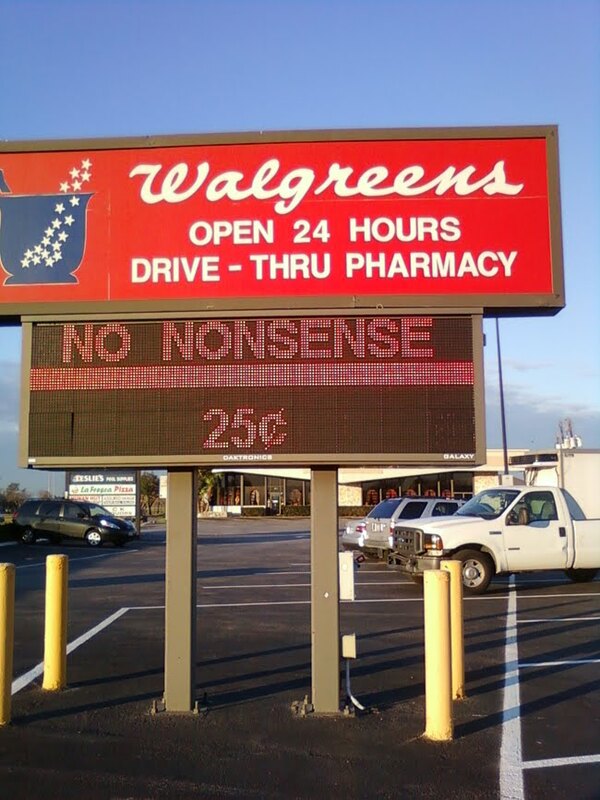 Let me get this straight.....Walgreens is going to charge you .25 cents for no nonsense. What if you don't pay....do they give you nonsense??? Lotus - I've been wondering about that myself. 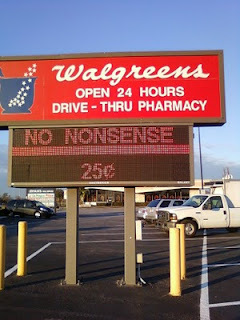 It seems like a bargain either way, don't you think? Arizaphale - They repair cell phones?!?!? :-) :-) :-) That's how I always have to read too - catching up here and there when I should be making more time for sinning!